Methyl Cellulose is an archival vegetable paste used by fine art conservators to adhere Japanese paper hinges. 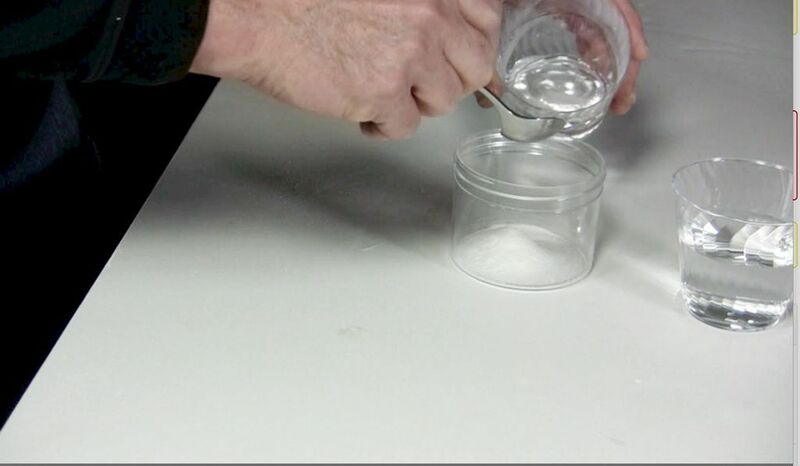 Methyl cellulose in it’s dry state is a white powder made from vegetable cellulose. 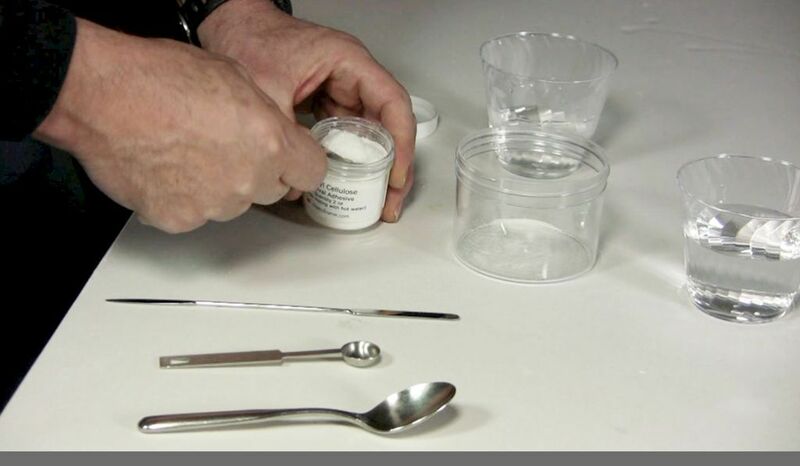 A methyl cellulose adhesive typically creates a much weaker bond than a wheat paste. When hinging you do not want to make the hinge stronger than the art. Methyl cellulose should be used for hinging thinner and lighter art on paper for both matting and floating presentations. Assemble the tools and materials. 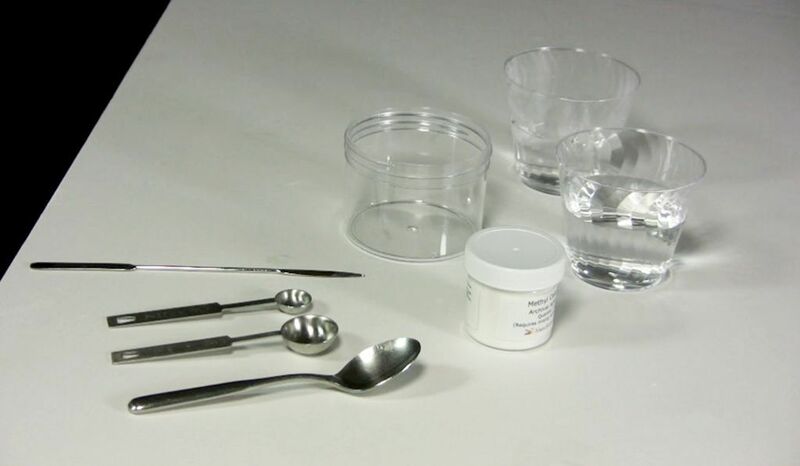 They are: methyl cellulose, measuring spoons, stirring spoon, micro spatula, hot & cold water. Add the 1/2 cup of hot water. When the water is thoroughly dispersed add enough cold water to make a pint of paste. Framer's Tip: When ready to use place a small amount in another container. Never dip the brush into the main supply.